Happy Thursday and welcome back! 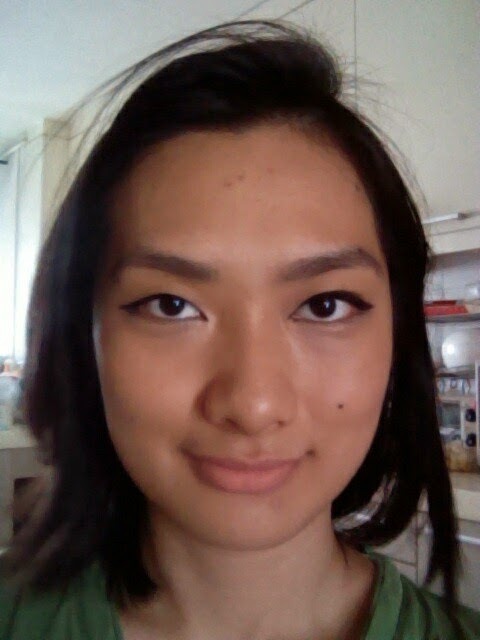 Yesterday I decided to put my new makeup products to the test. 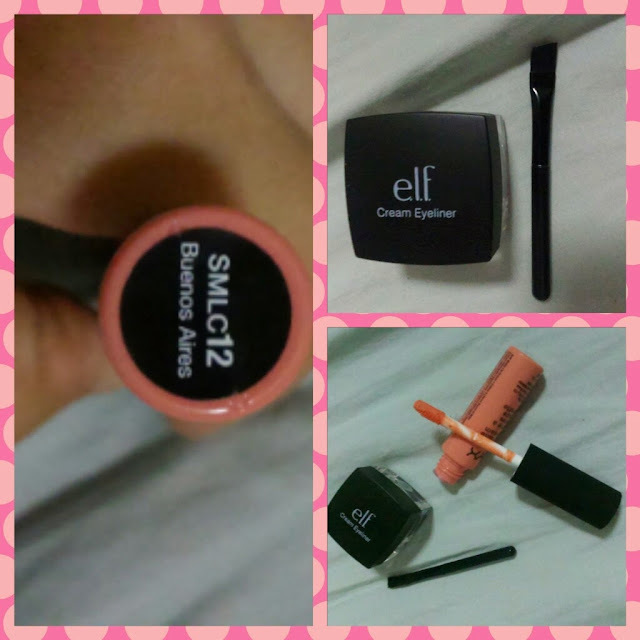 It was an excessively hot day and would be a perfect scenario to test the durability of the cosmetics. – e.l.f cream eyeliner in black. I decided to give the e.l.f mascara another try, and it surprised me. Here’s the look. Excuse the hair – there was a blast of wind from the front. You can see here that the lip colour is not exactly compatible with my complexion. I also used the matte lipstick to colour my cheeks, but the coordinated colour did not make the rest look better. I had to sheer the colour put severely, and it applied on fairly uneven. I’m not sure if everyone will have the same problem, but for the pigmentation, I think people should consider buying. I also added some black eyeshadow to the liner which I always do even when I don’t put on eyelid primer. It blurs out the harsh black line, and covers any accidental patches you create when applying eyeliner of any kind. As you can see here, I also wore the look to a impromptu scalp treatment, which included a lot of oils and washing. The eyeliner stuck around, the lipstick was starting to dry on my lips, but I think that’s because it was a hot day. UPDATE: I actually did write this on last thursday. It took an entire week for the draft to be saved on my damned Android phone. Since it didn’t save, I couldn’t write anything further about it. Here’s the rest of my originally planned article. Turns out I had a lot of dead skin piling up on my scalp, which was clogging the hair follicles and preventing new hair from growing. Since I was going through a stressful time (i.e. studies, emotional issues), I started losing a lot of hair and it reflected. My hairdresser suggested that I go for a scalp treatment, which happened to be on offer (I went into the place for the $3.90 haircut in the first place). They also showed me an ugly if realistic picture of my scalp – which I will not post for fear of scaring people. And I got myself the treatment. 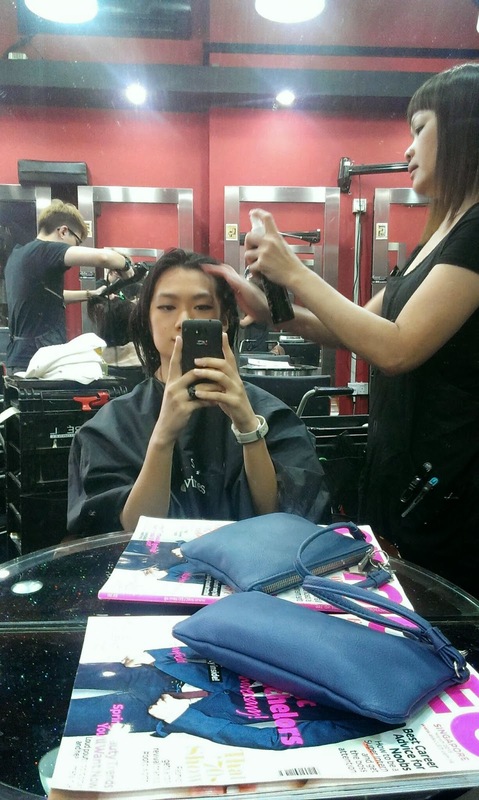 After the UV treatment, the hairdresser used Shiseido products to cleanse my scalp. I recognised the hair tonic, pictured below. I remembered it stinging my scalp the first few times I applied it. However, it stopped working after awhile. I always thought it was because my scalp became ‘used’ to the product. I asked my hairdresser, and it turns out that it was because my scalp was too clogged up by dead skin to be able to fully absorb the treatment. When she applied it, it really stinged (it’s a word because I say so). It was such a shock that I was holding my breath the whole time. The stinging gradually reduced to a tingly sensation, which lasted for several hours. To be honest, I was addicted to the feeling. I mean, it works. Who could’ve thought? To anyone who also has been facing hair loss, you might want to try a scalp treatment. Especially if you’ve noticed that the hair products have not been working, because it might be an indication of a clogged scalp. Sorry for taking so long, and enjoy your weekend guys!